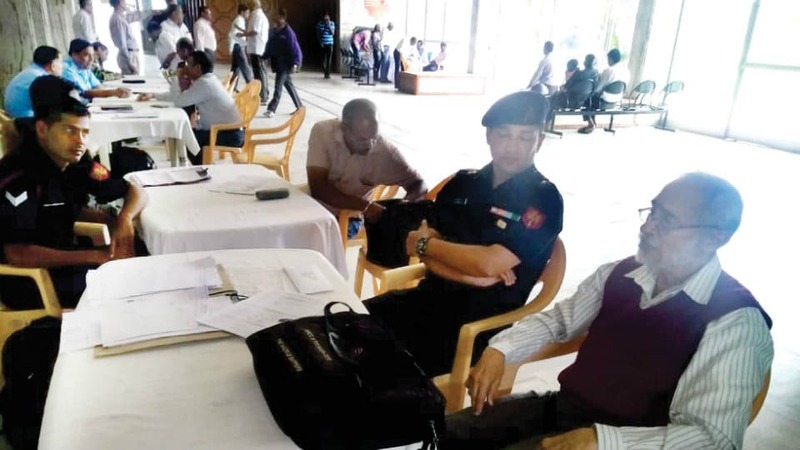 It is heartening that the Additional CGDA and the PCDA (Pensions) came to Mysuru to initiate the 159th Defence Pension Adalat at Kalamandira on Aug. 23 and 24. That it is the 159th Adalat since 1987 shows the interest that CGDA and PCDA (P) are taking in this important activity. Solving cases during the Adalat is necessary and good, but it cannot cater for the Veteran or widow who has not appeared before the Adalat because he/she lives in a distant location, or is ill, or is unaware of entitlements or if aware, is unaware of the Adalat, is illiterate, unable to afford travel, stay and/or legal help, etc. The Veterans who have presented their cases before the Adalat are the proverbial tip of the iceberg. More frequent Pension Adalats need to be conducted. At present, many Veterans have moved to Kodagu to help their relatives, and Veterans living in Kodagu are unable to come on account of the disaster. It would be necessary for PCDA(P) to conduct another Pension Adalat in Mysuru perhaps in December this year, besides other such events in Northern Karnataka. There are innumerable cases of Veterans (also known as Ex-Servicemen or ESM) agitating for years for their legitimate rights concerning their hard-earned pensions or other entitlements, with only some of them being represented by others who are capable, literate or better informed. This problem will get worse since PCDA(P) reveals that his office has computerised records for online interaction, whereas most Veterans do not have the means, access or skills to solve their pension problems online. Many of these pensioners are old or very old and often infirm or ill. I personally know of one widow of a World War 2 Veteran, 98-years old, ill with cancer, whose ongoing pension was stopped by an ignorant, hostile bank official who additionally raised a demand of several lakhs of “overpaid” pension on a widow who may not survive long. This particular case is mentioned to demonstrate the generally unhelpful and hostile or obstructive attitude of some officials towards Veterans’ pension and entitlement problems. This comment is not about civilian IDAS, IAS or bank officials only. I am aware that some serving army officers in regimental record offices and even in higher headquarters, continue to deal with Veterans’ or widows’ cases with hostility or studied indifference, and drag out cases over years quoting irrelevant issues. Veterans ask for no favours from the dealing civilian or military officials but expect justice, and that quickly. Speaking of justice and the “attitude” mentioned earlier, it is apt to mention the fact that many Veterans have argued their cases in High Courts concerning their pension or entitlements, spending scarce money, time and effort, and obtained favourable judicial decisions. But the Ministry of Defence Department of Ex-Servicemen Welfare has spent welfare funds meant for ESM to go in appeal to the Supreme Court, thus forcing the Veteran to fight his case in the Supreme Court, using more personal money, time and effort. Such “anti-Veteran” incidents are not merely a few. They indicate the antagonistic attitude of certain officials who receive monthly salaries to render justice and rightful dues to Veterans, but do Veterans and our nation a disservice. The silence of serving Army officers who deal with this Department displays their unhelpful attitude or lack of moral courage. Civilian (IDAS or bank) officials or Army officers dealing with Veterans’ pension/entitlement cases know that every serving soldier today (more than 80% of soldiers retire at age between 38 to 42 years, with a meagre pension) will be a Veteran tomorrow. If he is killed by a Pakistani or militant bullet or in an avalanche, his widow has no means to agitate for her family pension and other entitlements. Today’s soldier is well aware of the “attitude” of officials towards Veterans. He does not speak out because military law does not permit him to speak. Interpreting his silence as acceptance or timidity would be a huge mistake. The very recent, unprecedented instance of 356 serving soldiers moving the Supreme Court reflects their sense of being persecuted and prosecuted when performing their duties during counter-insurgency operations. It is a very, very serious matter when soldiers ranging in rank from Brigadier to Rifleman have gone over the heads of their commanders to agitate their grievance before the Nation’s Apex Court. This shows that the “attitude” of politicians, bureaucrats and senior Army officers is well understood by ordinary soldiers who operate in the line of fire and risk life and limb for our Nation. When serving soldiers or Veterans are driven to agitate before authority, it is a very sad state of affairs, speaking poorly for the highest echelons of political, bureaucratic and military command. At the very least, civilian and military officials dealing with Veterans’ and widows’ cases would be well advised to maintain a helpful attitude to solve or resolve their pension and entitlement cases expeditiously, and render justice where it is due. About the author: Major General S.G. Vombatkere, VSM, retired as Additional DG Discipline & Vigilance in Army HQ AG’s Branch in 1996. His current areas of interest are Veterans affairs and strategic and development-related issues. Human values lost in the rat race !